Out of the pungent soil and wind-struck orchards of Provence, this enchanting love story will make you believe, if you ever doubted it, in the power of love and the lengths people will go to keep it alive. Philippe Cabassac has fly-truffled—the art of stalking the flies that lay their eggs directly over the truffles—every winter since childhood on his family estate in Provence. Since the death of his young wife, Julieta, the truffles have come to represent something far more than a delicacy for Cabassac's palate: they trigger an evocative sequence of dream visions in which he and his lost wife enter, on winter nights, a state of intimate and prolonged communion. As Cabassac becomes increasingly involved in his dream life with Julieta, he loses his hold on his teaching obligations, on managing his estate, on his waking life altogether. 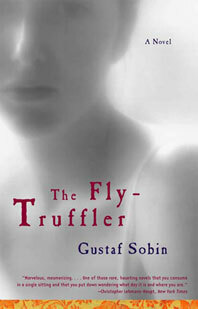 Set against the fading of traditional Provencal culture and an incandescent Mediterranean landscape, The Fly- Truffler celebrates a love that, by its very ardor, outlasts a lifetime. Reading group guide included.